The average cost of memory care in Columbus is $2,762 per month. This is lower than the national median of $4,650. To help you with your search, browse the 14 reviews below for memory care facilities in Columbus. On average, consumers rate memory care in Columbus 4.2 out of 5 stars. Located in northwestern Georgia along the Alabama border, Columbus and the whole of Muscogee County has a population of around 194,058. Approximately 13 percent of the population in Muscogee is 65 years and over, some of whom are included in the 140,000 individuals in the state who have been diagnosed with Alzheimer’s diseases or another form of dementia. To help those in need of memory care, three memory care facilities are located within the city limits. In Columbus and the state of Georgia, these facilities are referred to as memory care units. They are regulated by the Department of Community Health and provide programs, activities and personal care for residents with cognitive deficits. The city of Columbus is home to world-class medical facilities, including those specializing in brain health and dementia care such as Piedmont Columbus Regional and St. Francis Hospital, in the event of medical emergencies or illness. The cost of living in Columbus is 78.5, which is considerably lower than the state and the national average of 100. For families with seniors living in memory care, this may make it easier for those on a budget to pay for personal care. Seniors who have a hard time dealing with the extreme cold in northern cities may find Columbus’s temperatures easier to handle. Winter average lows are around 35, while summers are hot and humid with average July highs around 92. Crime rates in Columbus are considered some of the highest in the nation, which may be a concern for families with seniors living in memory care facilities in the city. The overall crime rate in Columbus is 85 percent higher than the national average. In Columbus, individuals have a one in 20 chance of becoming a victim of any crime. While memory care facilities are most often secure, it's a good idea to inquire about safety policies and procedures when touring facilities in the city. Memory Care costs in Columbus start around $2,762 per month on average, while the nationwide average cost of memory care is $4,800 per month. To see a list of free memory care resources in Columbus, please visit our Assisted Living in Georgia page. 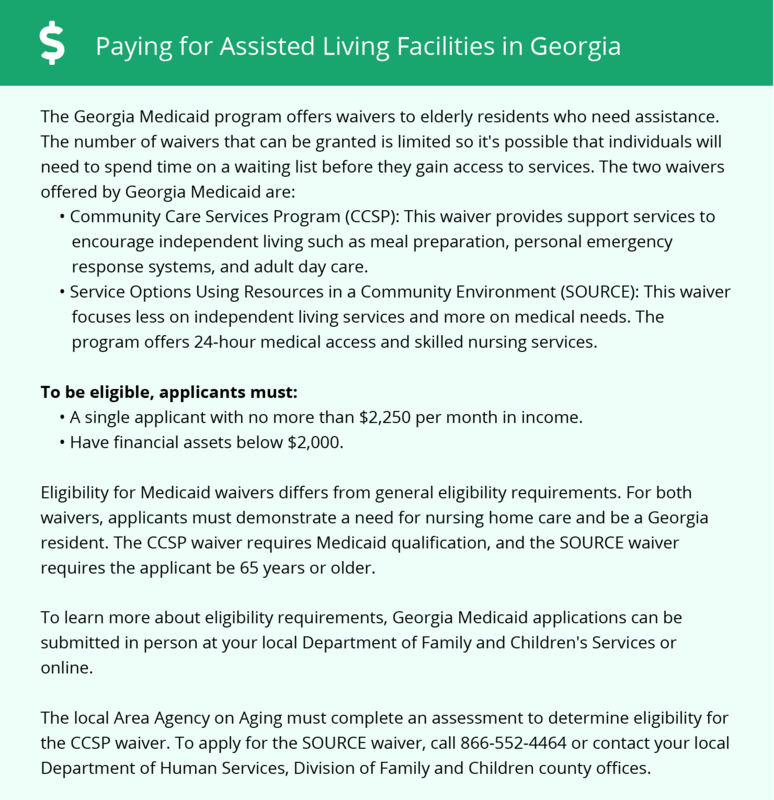 Columbus-area assisted living communities must adhere to the comprehensive set of state laws and regulations that all assisted living communities in Georgia are required to follow. Visit our Memory Care in Georgia page for more information about these laws.